award dinner in Washington DC in October 2017. Much has been written about whether someone who oversaw a secret CIA detention site where detainees were tortured should be eligible to head the nation's leading intelligence agency. At first blush, this may appear to be the central debate. What ethical transgressions are inconsistent with an agency-level directorship in the United States government? Certainly, participation in torture should render a candidate unqualified. Yet, on further inspection, the focus on whether Haspel's abusive conduct disqualifies her from CIA leadership cloaks a far more important and revealing debate. Judging candidates to direct the CIA presupposes knowledge of the history of the CIA and a vision for its role - if any - in a society that purports to be "democratic." Interrogating, so to speak, that knowledge and understanding that vision have been painfully absent from the national debate. As someone who has spent the past three decades promoting and defending human rights and democracy in this hemisphere, I have a particularly dour view of the history of the CIA. I have seen and engaged with the consequences of the agency's ruthless disregard for human dignity and fundamental rights in the Americas. I have worked with victims of torture committed by military regimes that applied the Kubark torture manual developed by the CIA. In El Paso, Texas, I worked with refugees from El Salvador's brutal death squads, including children who journeyed alone to the U.S. after losing both parents to CIA-supported death squads. Since 9/11, we have witnessed a national, collective effort to rehabilitate the CIA and champion its role as a "noble protector" of the U.S. In Chile in the 1980s, I worked with family members of those disappeared by the Pinochet regime, installed with the support of the agency in 1973. In Central America, I worked on behalf of survivors of a genocide facilitated by our government, again, with CIA support. More recently, as a commissioner on the Inter-American Commission on Human Rights, I worked with states in the Americas still struggling with transitional justice, seeking to come to terms with violent histories of authoritarian abuses, all supported by the "compan". ...are not limited to the Americas. The CIA and British intelligence intervened in Iran in 1953, inciting a disastrous military coup against democratically elected Iranian prime minister Mohammad Mosaddegh after the nationalization of Iran's oil industry. The following year, the CIA thwarted Guatemala's burgeoning democracy in another coup, violently halting then president Jacobo Arbenz's effort to address his nation's devastating poverty. A series of brutal military leaders and a devastating civil war followed. In 1973, the U.S. supported the Chilean military in toppling the democratically elected government of Salvador Allende. The CIA created black sites around the world to host programs of institutionalized torture, documented by the Senate itself. The torture memos, written to justify this torture, so twisted and distorted legal norms that they were kept secret for years. The agency also facilitated creation of a black hole legal regime in Guantánamo, where the U.S. has indefinitely detained hundreds of people in violation of "international law." My guess is that none of this bleak history will be raised when Gina Haspel appears before the Senate. Since 9/11, we have witnessed a national, collective effort to rehabilitate the CIA and champion its role as a noble protector of the U.S.
Our post-9/11 reverence for all those tasked with defending us against real and perceived terrorist threats has crippled our ability to assess the actions and role of agencies like the CIA critically. This collective amnesia regarding the agency's abuses, including its pattern of interference in democratic processes, is particularly stark today, as our nation grapples with the consequences of Russian efforts to undermine our elections and those of other nations. 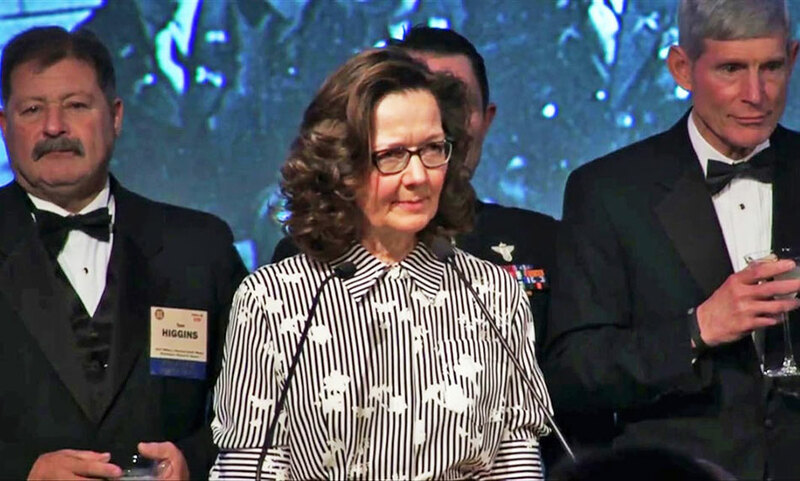 Given its sordid history, the question to ask might not be whether Haspel rises to the caliber of the CIA. The question might be whether Haspel descends to the level of instigator of torture, murder and interference in foreign governments that has marked the history of the CIA. Unless and until we examine the difficult questions about the past and future of the CIA, Haspel may just be perfect for the job.